We were approached by a company in Portsmouth who specialize in supplying tradesmen and build management to the domestic and industrial property sector. They had a clear idea of what they wanted to achieve in terms of a good style and large high res imagery throughout the trade pages. 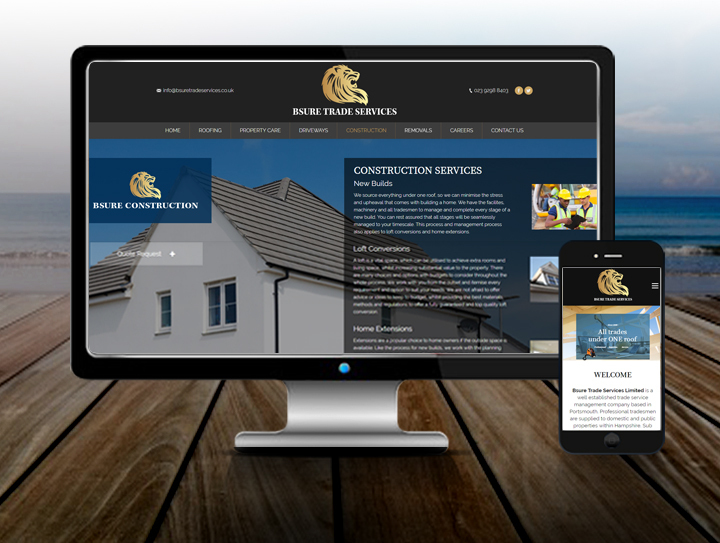 We grasped the idea and developed a clean, crisp and stylish theme, using 2 main colours from their logo. The gold accent colour worked well with a deep grey background to give large areas to imagery. We stretched the rows and content to full width and height to utilize the space for the text and logos to work well on each page.